As an organization grows, the strategy to manage the evolution is a challenge. There's a clear need for meticulously monitored initiatives that will impact the newer versions of the organization. While people are the assets, organization energy should be larger than the sum total energy of its people contained therein. How do we sustain this energy to be on the winning platform? Visibility of the key performers and percolating the vision amongst all stake holders has to be consistent. This paper talks about a few practical initiatives that can be taken with their respective challenges. Application of these initiatives and measurement will have to continue in a cyclic manner. Prasanna Rajanna is Principal Consultant for Business Platforms Unit at Infosys Technologies Limited at Bangalore in India (www.infosys.com). He has over a decade + experience in CRM solution architecting. While implementing Siebel CRM for Telecom, retail, healthcare and automotive companies in Europe and United States, he has advocated clients, how to derive maximum benefits of the product, streamlining the process that best suits for that specific industry. 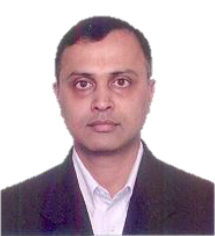 Prior to CRM, Prasanna has held various functional head / marketing management roles for nearly 9 + years in manufacturing & retail companies. He has managed countrywide partner & distributor network. Organization growth or transformation needs more than a scientific approach. It's important that right steps be taken at the right time to stay ahead of the competition while also infusing innovation along the growth path. The success along the path needs to be measurable so that there's always a reference point to get to the next level. Management Gurus have authored many theories and metrics. In this paper, I would like to share my nearly two decades of practical industry experience on the "Power of Strategy" - why is this so important and how do we apply this for a growing organization. Although most of my experience relates to IT industry, this paper is written generically keeping all industries in mind. The ideas themselves are not new, however emphasis is more on application. Visionaries are dreamers and thinkers who are aware of market constraints and growth patterns. They make up for the core strength of the organization. "Organization Strength" should not be perceived as a static parameter. It's a parameter at a given point of time and will need to constantly evolve to overcome the constraints. The best part of the visionary layer is the clarity of the roadmap in front of them. 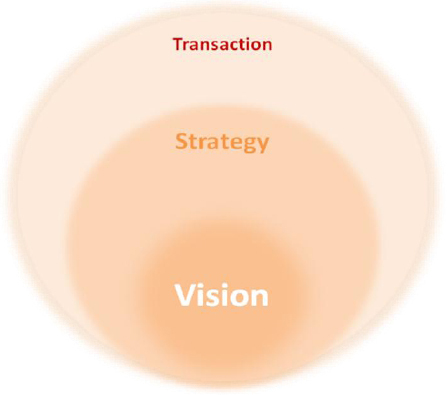 The strategy layer is an interface between Vision and Transaction and I would actually say that this is the most important layer amongst the three. The reason being is that this layer has to have a pretty large bandwidth to oscillate between the vision and transaction. And, in reality, these are the people who transform the dream into visible results. I will expand upon this layer later. The transactional layer comprises of "the doers" in an organisation. The end results are directly proportional to the ability with which they have been instructed by the Strategy layer. They are like soldiers on the battle field. They really have no time to ask why or how, they just need to act to produce results. 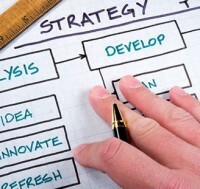 However, over a period of time, with experience and introspection, they will need to scale up to the strategy layer. Without exception, I strongly feel that this is common across organisations – be it – IT or non-IT. However, what changes is the proportion of exchange between the three layers. In other words, the boundary between the three layers keeps changing depending upon the organisational position on the transformational path. I have attempted to depict version 0.1 of the organisation below. This is right at the inception of the company. The reason for the circular representation is that the Vision forms the core around which strategy and Transaction revolves around, so that they remain in the orbital path and do not take any tangential route. At the inception of an organisation, the boundaries are large enough, there is enough transparency and easy to transact as per the vision. Every brick is consciously laid. As the organisation grows to version 1.0, the boundaries are more distinct and it needs so much more effort to produce the results. However, there still exists the thread of thought amongst every stake holder (includes employees) that the organisation is still in the transformational path. There are many more miles to go. As the organisation continues on its transformational path, while the vision still remains core and intact, the most important strategy layer loses focus. There are many reasons for this. The danger in the beginning of version 2.0 is the fact that complacency creeps in and the Transactional layer keeps hanging for want of support from Strategy. However, the Strategy layer keeps getting thinner. 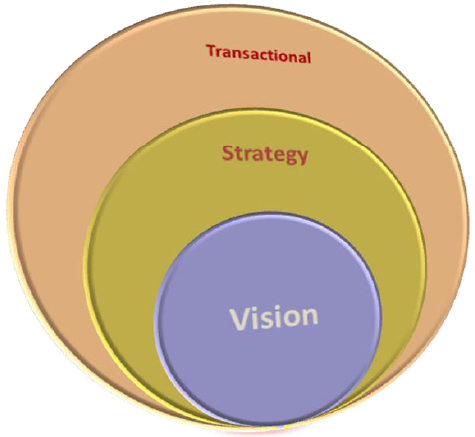 Meanwhile, the Vision is still strong and expects the same results from the transactional layer. This anyway has been the pattern right from inception. This is the reason that I mentioned earlier that the Strategy layer is the most important of all the three layers right through the organisational life cycle. While boundaries are inevitable, from version 0.1 → version 1.0 → version 2.0, the bond between the three layers needs to be inseparable for visible results to happen. The success of the organization lies in the interface between the three layers. This is more like an absolute statement. Skills do matter. However, more important is – whether every stake holder is consciously aware of the three layers and if so is there a continuous exchange happening through the interfaces? The absence of interface stops the vision flow to transaction. While the momentum will carry the organisation forward, it may not be too long a time before the wheel stops to rotate. Even more danger is the fact that while a stake holder might believe that the organisation has grown well now and stabilised, the reality is just the opposite. How do we ensure that the energy is self-sustainable? How do we ensure that wheel keeps rotating progressively faster and stabilise at a balanced speed? We need to focus on the interfaces between the organizational layers. Firstly – We need to have a well defined strategy and transactional layers. The Visionary layer is well understood hence, I’m not touching on that too much. 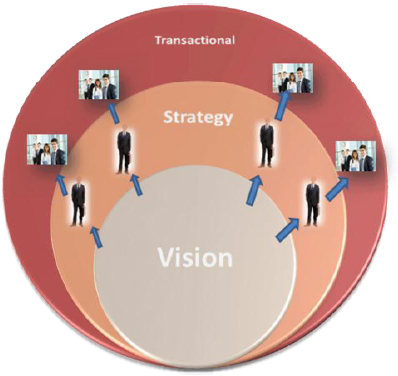 Every strategy layer member needs to have a direct interface with the Visionary layer as this is where the energy originates. The flow of energy is always from higher to lower potential. Vision needs to be emphasised again and again so that it spreads through to all stake holders. My view is that every strategy member should captain one or more clearly defined projects. His / her Key Result Area is clearly the success of the project. For example, let us say that in the next 18 months we should win a million dollar order. This is a great project. Target and time frames are defined. However, is a captain or team in place? Do they have defined periodical milestones to achieve for the 18 month period? Every project success creates that much more energy within and, along the path, many hurdles have been crossed. It’s a clear learning curve for every project team member and we will need to create as many projects needed to achieve the vision. It could be acquisitions, branding, social responsibility, co-innovation with partners, patents etc. However, every project must have a clear quantifiable end result, time frame and periodical milestones. Again, my view here is that we need to be more a project based organisation than a pyramid based. We may not be able to define a vertical structure even before we have covered the ground extremely well. 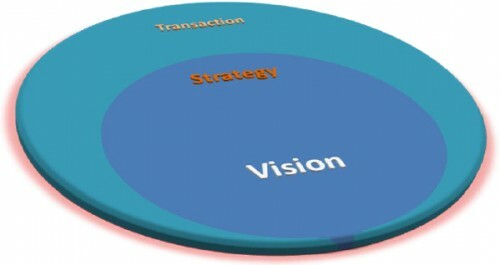 Strategy and transactions need to revolve around the vision. We have to try this out with one or two critical projects and the learning's from these can be applied for other future projects. As captains of individual projects, there‟s a constant learning the individual goes through that can be applied in the later projects. We should initially take up short term projects, measure the success and apply the learning. To conclude, I would say that energy sustainability in the organization is the key to be on a winning & growth path. Attention to this is usually less paid. This can happen only when organizations take risks and challenging projects. This is the only way to build energy within. This is true at an individual level also. After all, organization is made up of people. The net organization energy has to be larger than the sum total energy of its people at any point of time to progress towards the newer version.